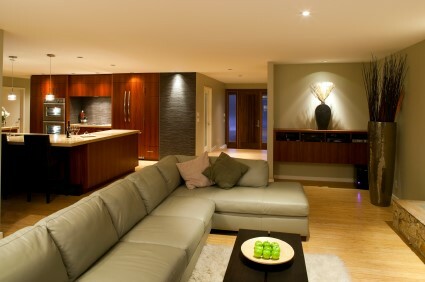 Start your Long Island basement renovation off right by working with our talented team of designers. Trying to decide if you’d like a private man cave, a shared workout room, or perhaps a fully finished living space complete with kitchen and bath? 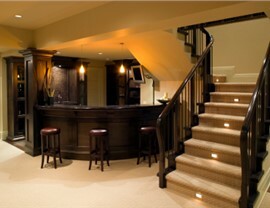 With so many options available for your finished basement, choosing the right design can feel overwhelming. Instead of going through the process alone, turn to the talented design professionals of Sunview Enterprises! 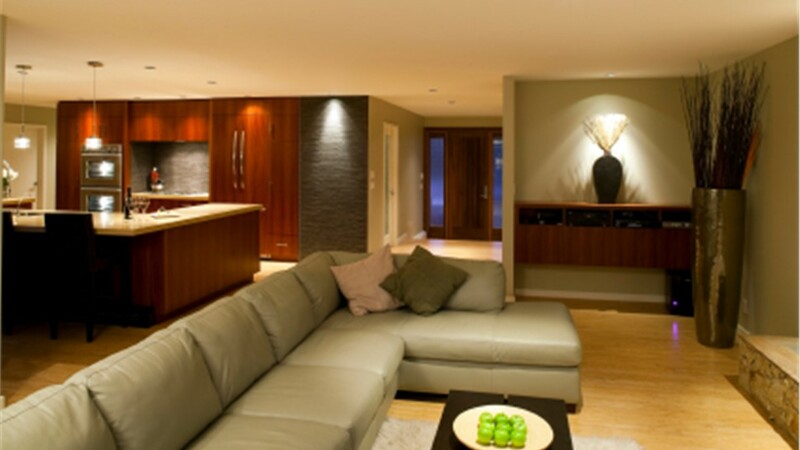 With decades of combined experience, our skilled team will help you consider the pros and cons of all the various styles, visualize the impact of specific design choices, and create a custom Long Island basement design that will perfectly suit your preferences. 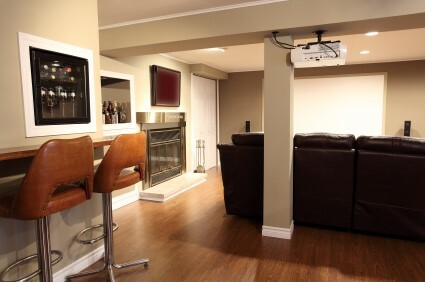 Whether you already have a good idea of what you want or are starting with a blank slate, you can trust our expertise for a beautiful basement that adds value and style to your home. 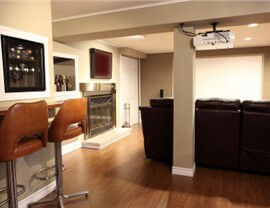 Room Type: A finished basement is incredibly versatile and can be designed to fit your particular needs—whether you want a comfortable guest room, a high-end home theater, or a well-organized storage space. Livability: If you plan to use your finished basement as a spare bedroom for guests or renters, a kitchen and bath will add significant value and convenience. Because our skilled remodelers can handle everything from permitting to plumbing and electrical work, you can opt for these essential features with the utmost confidence. Décor: By working with us, you can paint, wallpaper, or hang any decorations you like without worrying about damage to your basement walls. Made of magnesium mineral board, our wall panels are 5-7 times stronger than traditional materials and 100% resistant to mold and moisture! Ceilings and Floors: Finish your basement renovation with a touch of decorative style by choosing a stylishly unique ceiling and floor. 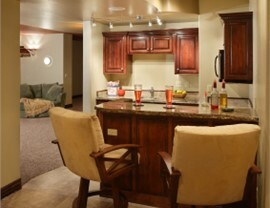 Our Nassau County basement designers can help you choose the right style, material, and color to complete the look. 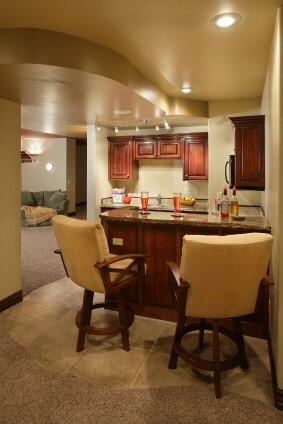 Your basement design options are virtually endless—so let the professional designers of Sunview Enterprises make it easier to get the perfectly finished room you’ve always wanted! 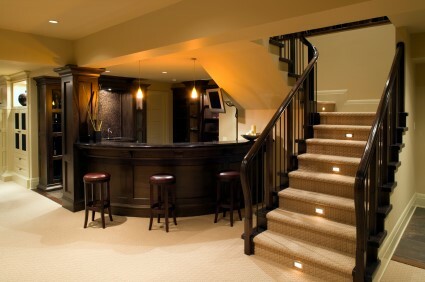 Start your Suffolk County basement remodeling and design process with a free cost estimate by calling us or filling out our online contact form today.